I am very pleased to let you know that I have offered the position of Vice President and Chief Information Officer to Michael B. Hofherr, currently the interim CIO and associate vice president of Distance Education and eLearning (ODEE) at The Ohio State University. Mike has accepted the offer and, subject to the approval by the Board of Trustees, his appointment will be effective March 1, 2014. The Office of the Chief Information Officer has had an especially eventful summer. I took over as Interim Chief Information Officer in June and a reporting restructure in July brought us under Geoff Chatas, Chief Financial Officer and Senior Vice President in the Office of Business and Finance. Through these changes, we continue to focus on keeping our services operating smoothly and providing reliable support for university needs. After a national search, we have selected a new Chief Information Security Officer (CISO) to join our team. 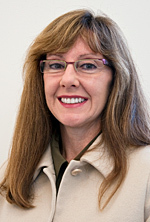 I am pleased to share with you that Helen Patton will join the University as CISO on July 15. Helen joins us from JP Morgan Chase here in Columbus, where she has worked since 2004. OSU:pro, the expertise database used to produce dossiers for promotion and tenure, was purchased earlier this year by Thomson Reuters, a leading international firm specializing in gathering and organizing information. This purchase showcases one of the quality products developed by Ohio State University staff to serve the needs of faculty. David A. Kieffer, who served as interim director of Enterprise Applications and director of Applications Strategy & Architect, was named senior director for Enterprise Application for the Office of the Chief Information Officer. Kieffer’s new role is effective immediately, and he succeeds Andy Jackson, who resigned in July for a commercial enterprise position. The Office of the Chief Information Officer’s Senior Director for Enterprise Applications, Andy Jackson, is leaving Ohio State on July 12 to join Allied Electronics in Ft. Worth, Texas, as Vice President and Chief Information Officer. The Office of the Chief Information Officer taps Penn State for its new Learning Technology director. Michael Hofherr will join Ohio State’s Office of the Chief Information Officer (OCIO) on May 2 as its new senior director for Learning Technology. He comes to the OCIO with extensive experience managing and leading all aspects of learning technology projects at Penn State. Michael T. Green recently joined the Office of the Chief Information Officer as its new infrastructure director. He comes to Ohio State from Emerson Electric in St. Louis, where he served as director of global IT infrastructure and operations since 2006. Phyllis Culbertson recently joined the Office of the CIO as director for Program Management. She comes to Ohio State from RJ Reynolds where she headed the Enterprise Program Management Office (EPMO).